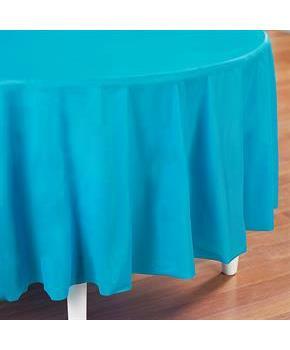 Includes: (1) Bermuda Blue (Turquoise) Round Plastic Tablecover. Made out of plastic, this round tablecover measures approximately 82" in diameter. 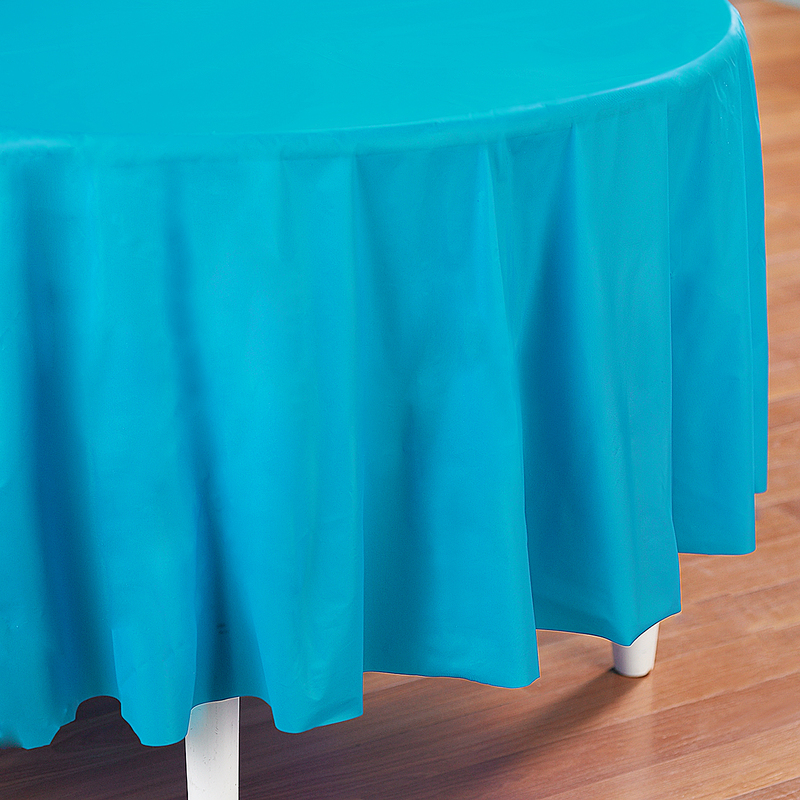 Includes: 1 Bermuda Blue (Turquoise) Round Plastic Tablecover.